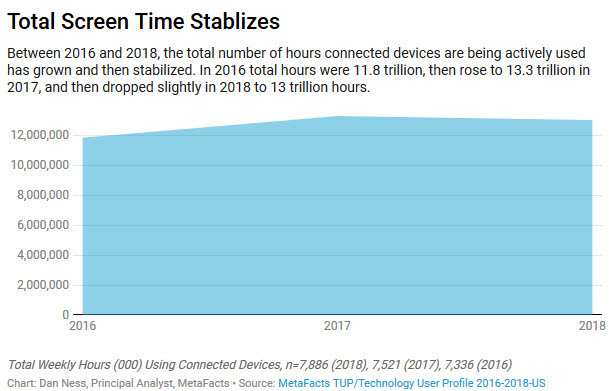 In tech, mobility means many things – lighter devices, a range of devices to choose from to fit the activity and location, better connections between the devices, and fewer cables. In essence, it means making everything easier so users can do what they want to do wherever they are. 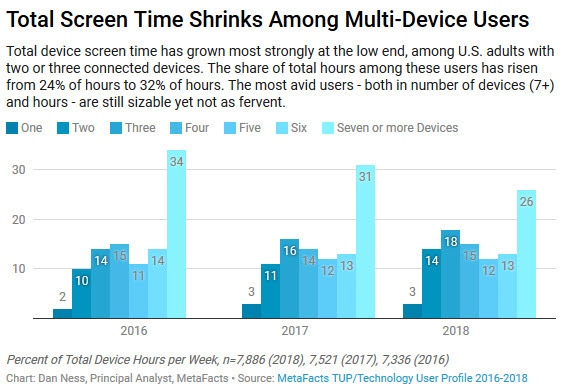 Tablets have grown in acceptance among many users in part due to having larger screens than Smartphones, while having more mobility than notebooks or desktops. 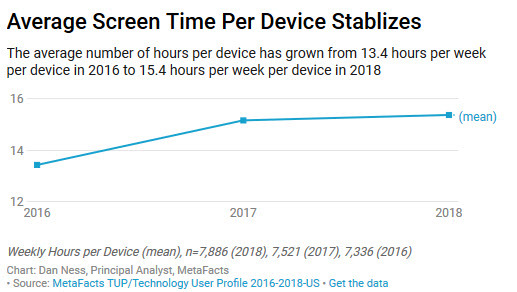 To fully enjoy tablets’ mobility, the connection between tablets and printers is best done with no cable tethering users down. So, wireless printing emerged, and in several ways: using WiFi for a nearby printer, emailing to a printer, or using a service. However, have consumers taken advantage of wireless printing? Nearly a third of tablets regularly print to a nearby printer using WiFi. Fewer print using a email or an online service. 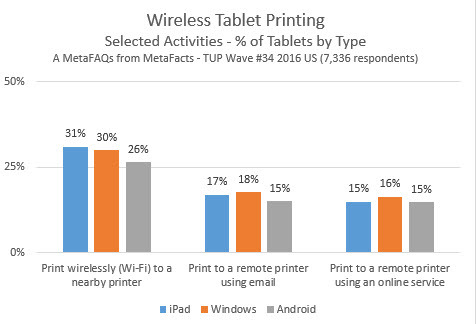 This MetaFAQs research result addresses one of the many questions profiling active Tablet and Printer users. Many other related answers are part of the full TUP service, available to paid subscribers. The TUP chapter with the most information about the users Tablets is the TUP 2016 Tablets Chapter and more about Printers and printing activities is in the TUP 2016 Printer Chapter. 3D Printers continue to rank strongly as one of the up-and-coming tech items of the future. 3D Printers loom as disruptive to many industries. Why would Amazon need drones or UPS need trucks when a product’s design can speed along the Internet to consumers making their own goods? Why would repair parts manufacturers require vast warehouses when do-it-yourselfers can simply create their own spare parts as they need them? While 3D printing technology is still in its early stages for many types of goods, materials and printers are quickly improving and becoming more accessible to a broader public. How real is market demand for 3D printers, though? Based on our recent survey of 7,336 respondents with the TUP 2016 survey, the market is small and selective. 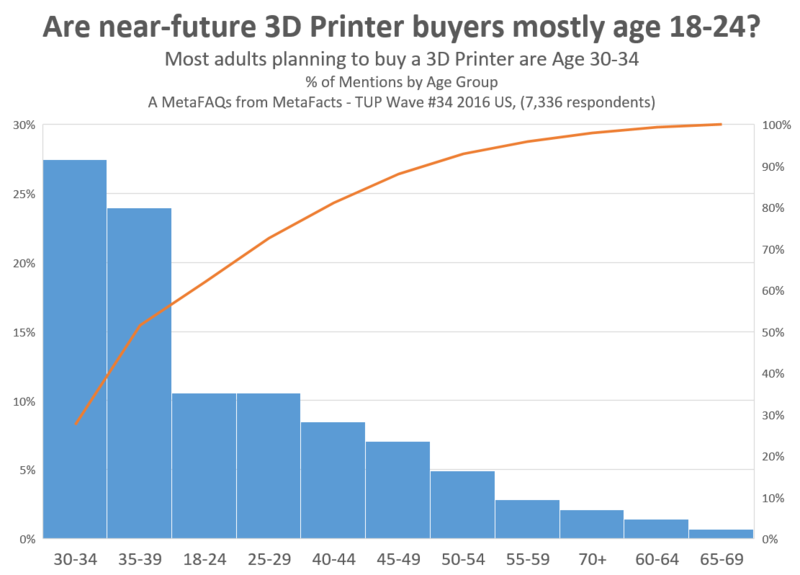 Are the early adopters and interest bearers of 3D printing the youngest adults? No, the majority of purchase plans are among adults 30-34, followed closely by those age 35-39. The younger age 18-24 and age 25-29 group lag behind. The number of active 3D Printer users and intenders is still relatively small, yet change is afoot. Among consumers, we expect the adoption of 3D printers to continue among tech hobbyists or service bureaus. Even the technically inclined Etsy crafters are only slowly adopting the technology themselves, although they’re the group most bearing watching. They have the creativity and know how to make it pay for them to keep updating their technology. 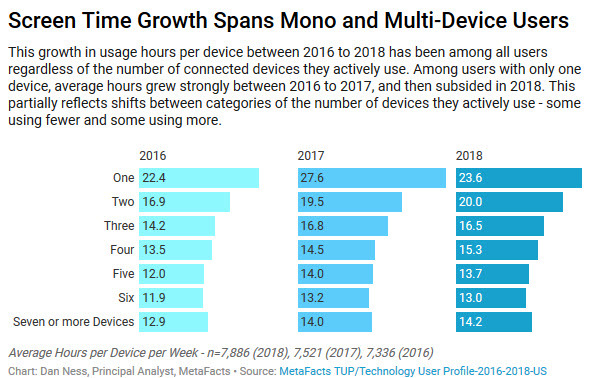 In addition to profiling the spending, demographics, activities, and devices of these users, many other related answers are part of the TUP service, available to paid subscribers.